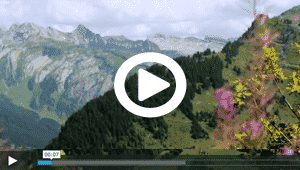 Alpine French Summer Camp: an amazing camp in a fantastic location! 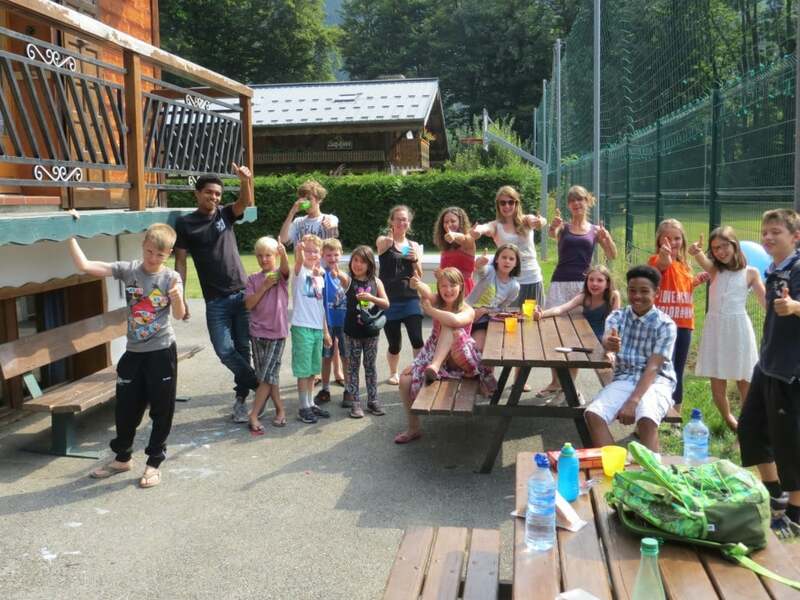 Learn French or English at our French Summer Camp in the beautiful French Alps. An amazing camp in a fantastic location! GCSE, iGCSE, IB, AS-level and A-level preparation Classes available as part of the Summer Camp. Food Meals are provided on a full-board basis, with picnic lunch included if lunch is to be taken outside of the centre. The food is of an excellent standard and most dietary requirements can be catered for. Pastoral Care Our activity coordinators stay on-site in the student residence to provide supervision, to ensure a convivial atmosphere, to lend a sympathetic ear if needed. They are on hand in case of an emergency and are fully first-aid trained. Transport Juniors are met upon arrival at Geneva airport and transported directly to the Summer Camp. Most airlines offer an unaccompanied minor service if required. Or bring your child yourselves to the camp. 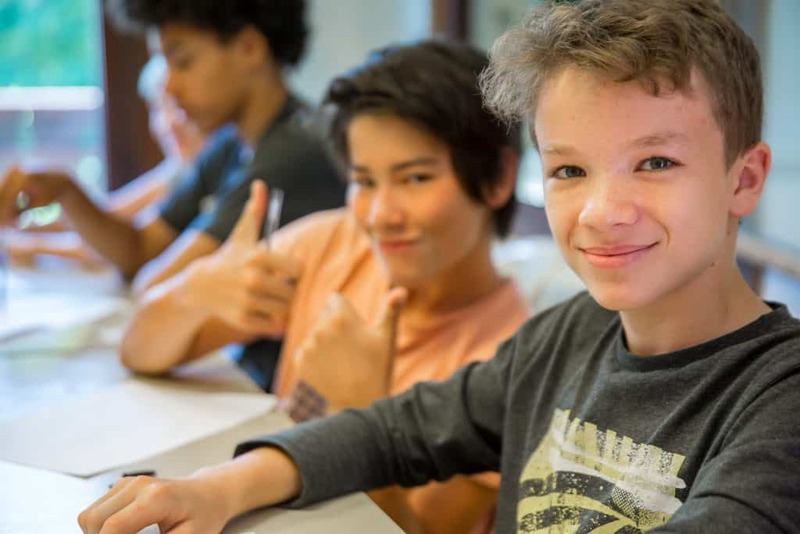 Alpine French School's French Summer Camp is a fully registered Camp, run by qualified and experienced directors, teachers and activity leaders. We offer a meet and greet service for arrival and departure at Geneva airport. An Alpine French School representative will be at Geneva airport to meet students at any time on a Sunday and to help with their arrival & departure. This service can only be provided on a Sunday but at any time including early and late arrivals and departures. The cost of this service including the airport transfers to and from Morzine is 90€ per person. At all other times, we can arrange transport for students but a representative from our partner transfer company will welcome students at the airport so they must be autonomous to travel without an adult. Unaccompanied Minor Services can only be accommodated on a Sunday when our representative is at the airport. We cater for all ages from 11-17 years old during the summer camp and students are split into groups with others of a similar age. We also cater for all levels from complete beginner to advanced or almost bilingual. Students are also divided into groups according to their language level. As part of our French summer camp, we also offer the option of GCSE/AS-level/A-level preparation courses. These are a very popular option and run at the same time as the other courses for 15 hours per week. Classes are taught by a teacher experienced in the exam requirements so students can improve their general level, learn exam tips and techniques to help them in the exam situations. We also offer additional private tuition if required to work on specific weakness or skills. Lively sporting, cultural and social activities are an essential part of a language study trip and our region offers a fantastic choice, so you will never be bored! Afternoon and weekend activities are run by our qualified activity coordinators. 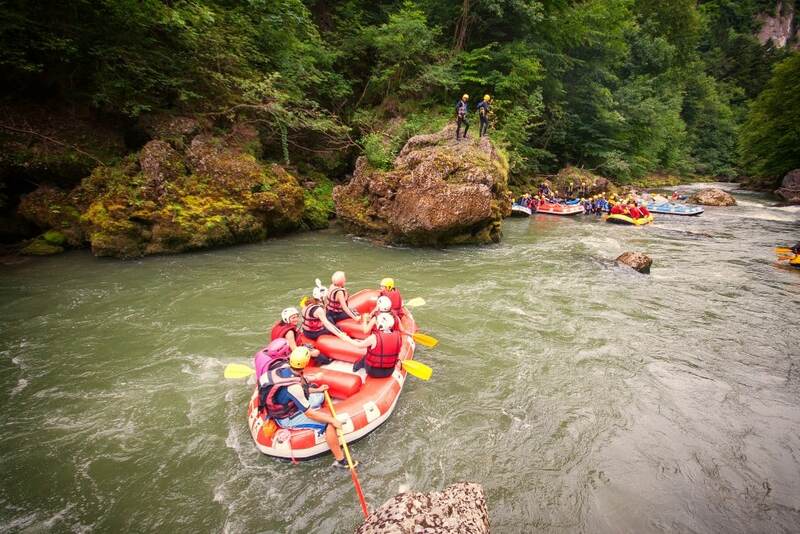 All residential students get to participate in Adventure activities during their stay with us. Please see our sample summer camp programme below for more details. *Previously Adventure activities were an optional extra but they are now included in the package price. Option+ Private French/English Classes (3 x 45-minute lessons per week). Students will stay in a study residence designed for study travel trips for juniors and teenage groups. The centre is managed by an experienced local family who have been welcoming school groups to the area for more than 15 years. Students are housed in modern en-suite rooms sleeping 4-6 people. Our activity coordinators stay on-site in the student residence to provide supervision, to ensure a convivial atmosphere, to lend a sympathetic ear if needed. Meals are provided on a full-board basis, with picnic lunch included if lunch is to be taken outside of the centre. Internet access is available in the centre allowing easy contact with home. All students arriving and departing on a Sunday will be met and helped at Geneva airport by a representative from Alpine French School. At all other times, we can arrange transport for students but a representative from our partner transfer company will welcome students at the airport. In this case, students must be autonomous to travel alone. Unaccompanied minor services can only be booked for Sunday arrivals and departures. All members of staff on our French Alpine Summer Camp have the necessary authorizations and experience to work with juniors. Students are supervised during all tuition, breaks and activities and our activity coordinators stay on-site with the juniors. 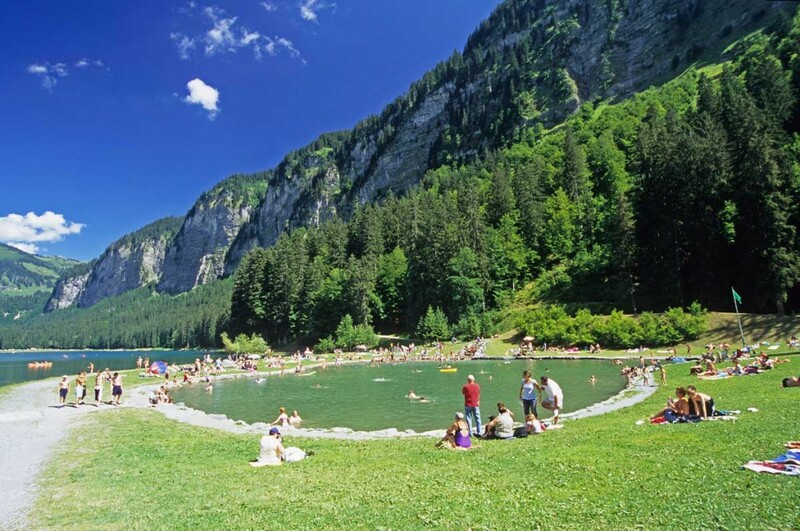 Morzine is a small Alpine village, very safe with a real sense of community; a perfect size for kids to discover. It is in an ideal location to offer a huge range of activities making it an ideal base for a French Alpine Summer camp study trip. Please complete our booking form and we will get back to you within 1 working day. A deposit of 400€ must be paid to reserve your place. Insurance is not included in the price of our French Alpine Summer Camp. We require all students to have insurance. Pocket money, Insurance, food & drinks outside of the school/residence, Airport transfers & meet and greet service, Option+ Private French/English classes.